After a hectic week with orientations and paperwork it was finally time to start the language training part of the scholarship. Pai Chai University is known for having a big number of KGSP students for the language training. This resulted in 6 classes for our batch of students. 3 beginner classes, 1 fast beginner class, 1 intermediate and 1 advanced class. The classes were well balanced with around 12-15 students in each class. Some people requested to move classes, which was not a big problem during the first week of classes. 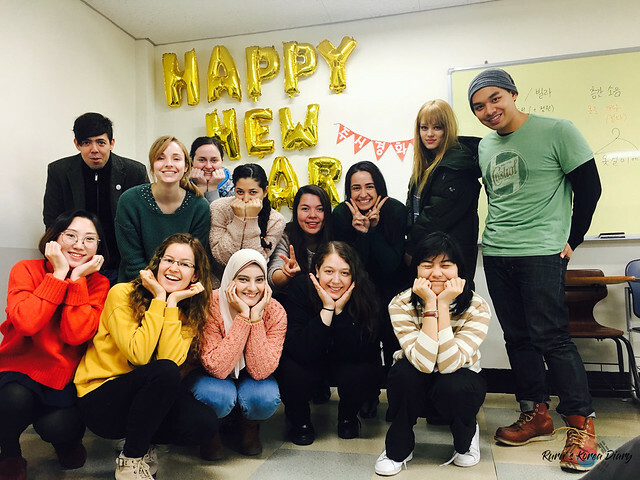 The one-year language training consists of 4 semesters, each 10 weeks long. During the semesters there are also TOPIK classes scheduled as 4 hours per week, up until TOPIK exam periods. 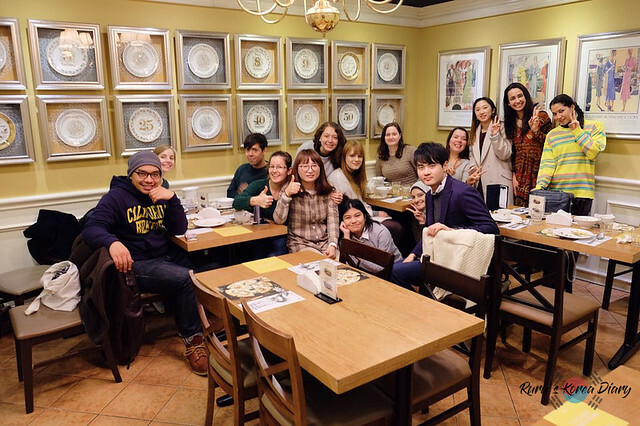 The usual daily Korean class is composed of 2 lessons, from 9 am to 1 pm, with a teacher swap in the middle. Each level has 3 to 4 different teachers. During the 4 semesters, you will meet a lot of different teachers and experience different teaching styles. The majority of the teachers might understand English but will only communicate with you in Korean no matter your Korean level. Pai Chai University uses Pai Chai Korean (배재한국어) from levels 1 to 4. 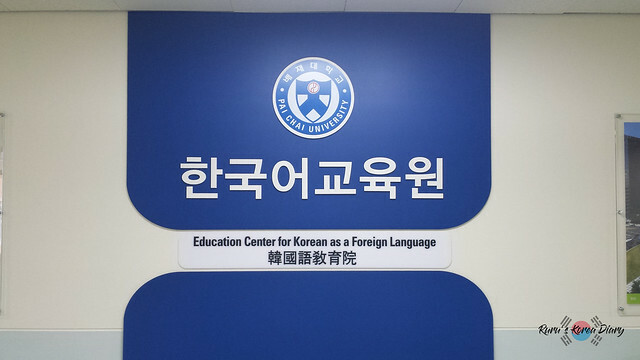 Levels 5 and 6 use books from other language institutes such as Kyunghee Korean (경희한국어), Ewha Korean (이화한국어) and Seoul National Korean (서울대한국어). During one semester, there is a midterm and final exams where you have to demonstrate your knowledge in reading, listening, speaking and writing. The exams are graded over a scale of 100 and on average you need 82 points to pass your level. If you have between 64 and 81 points you will remain on your level and under 63 points means that you will move down a level. Usually the teachers are quite generous about grading students and I haven’t seen any case of students failing their level. Attendance also counts in your grade and to pass the level you need at least 80% of attendance. Some students in our batch abused the teachers’ kindness so it has now become mandatory to fill in forms every time you miss a class. The workload is different from level to level and I feel like the higher levels are the laziest in terms of workload (Believe me, 2 weeks into level 6 and I feel the laziness already). TOPIK classes are usually scheduled to take place 2 hours, twice per week, from 2:30 pm to 4:30 pm. TOPIK classes are only provided during the periods up to a TOPIK exam so you will not have it all the time. There is no attendance for TOPIK classes but it is a good idea to attend if you want to learn about the structure of the exam and how to understand questions. I personally think that TOPIK classes have helped me to at least understand the writing part of TOPIK a lot. We use the book ‘HOT TOPIK’ for our TOPIK classes in addition to receiving some handouts from the teachers for the writing parts. TOPIK classes can be long and boring especially after a long day with normal classes in the morning, but in my opinion, it is worth attending. When we wanted to sign up for a TOPIK exam, the office of the Pai Chai Language institute would help us with the procedure as long as we paid them the exam fee. However, NIIED made some changes in the application process for TOPIK so now everyone has to apply for the test individually. This might be challenging for people who don’t have a strong Korean proficiency yet. However, your classmates or fellow KGSP friends might help you if you ask kindly. During the language training program, some hours are set aside for cultural activities. Pai Chai University would arrange buses and bring us to various cultural festivals around the country (such as the seaweed EXPO I wrote about previously). The cultural activities are a part of the language training program and therefore mandatory to attend. 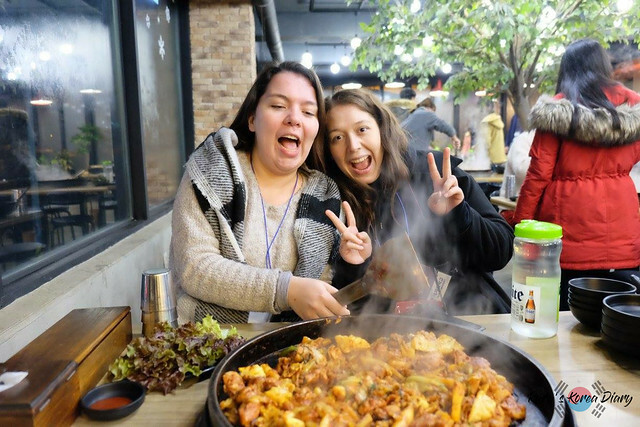 You will experience a variety of different aspects of the Korean culture so I would recommend you to participate as much as possible in these cultural activities (also the non-mandatory ones). During the one-year language training there will be two major trips to further cities. One of our long-distance trips was to Chuncheon and Nami-Island. The trip was scheduled for 2 days and 1 night before our midterms in December. Our second trip is still not decided yet but there are discussions of it being to either Busan or Jeju. 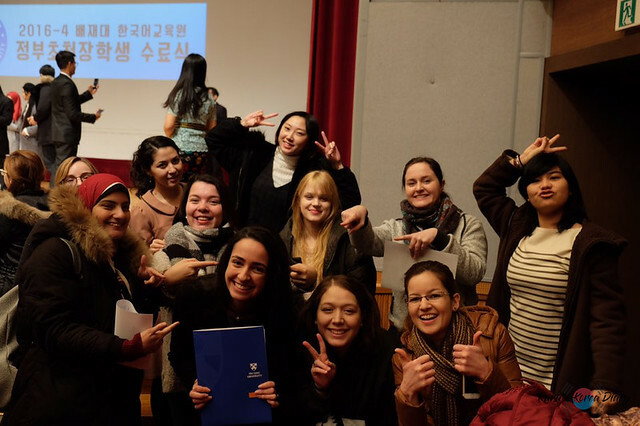 The second semester ended with a graduation ceremony for KGSP undergraduate students, and some students from the graduate classes were asked to join in with the performances and talks. There will be another graduation ceremony for graduate students in the end of the 4th semester, where we will also have to participate with performances and speeches. In between the semesters, we have 2-week vacation periods where we can travel around Korea or ask for permission to go back to our home country. Depending on the language institute, the break might also be shortened or even cancelled, but we were lucky that we got all our scheduled breaks between the semesters. Some other KGSP language institutes have cancelled some of the breaks and made the KGSP students study more instead. The NIIED guidelines state that it is impossible to leave the country during the first year of the scholarship but Pai Chai University gave permission to half of the students to go back home and see their families. If your homeroom teacher allows you to leave during the break, the rest of the process is quite easy. If you have a TOPIK score or are in the advanced classes it is even easier to get the permission. During the time you visit your home country, you will not receive any scholarship, which means that the days you are out of the country will be deducted from your monthly allowance, if you do decide to go back home to see friends and family. I hope this short introduction to the Pai Chai University Korean Language Institute will give you an idea about the institution and how it functions.